Fatherhood is a wonderful life experience and also a big responsibility. Fatherhood also comes with legal rights and important duties. These legal rights include the rights of custody, visitation, and access, so you have the ability to know the child, have a real relationship with the child, and help in making important decisions regarding the child’s upbringing. The most focused-upon duty that a father has is that of child support. While no one can disagree that fathers should have the right to visit with their children and bear financial responsibility for them, courts need to be sure that a man is a child’s father before allowing access and ordering many years of child support payments. This is why it is important to establish paternity. In order to exercise rights as a parent or for a court to enter enforceable orders against a father, there must be some legal recognition of paternity. For married fathers, there is a presumption of paternity for children born in wedlock. This means that if the parents are married at the time of the child’s birth, the law requires that the father’s name appear on the child’s birth certificate unless one of a few exceptions applies. This presumed father does not need to do anything else to legally establish paternity once his name is on the child’s birth certificate. The first is voluntarily, in which both unmarried parents agree that the man is the father and sign an affidavit acknowledging paternity. There is a specific form that, once completed, requires that the State Registrar put that father’s name on the child’s birth certificate. Parents can also get married following the birth of the child, which will retroactively legitimize a child. Another method of establishing paternity is to initiate a legal proceeding. This can occur through a private action that can be filed by either a mother or by a man who wants to determine paternity. 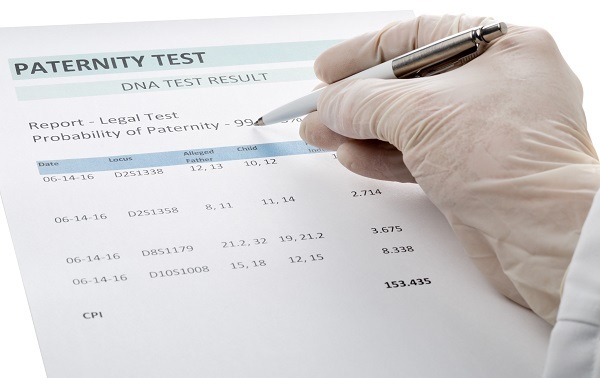 Paternity can then be established by taking the DNA samples of the child and the alleged father. If the test establishes a a 97% or higher probability that the man is the child’s father, then the court can make a finding of paternity. If you wish to establish your paternity and are facing a mother resistant to the idea or who denies that you are the father, this is your best option. Finally, the state, through its Child Support Services (CSS) division may also initiate a child support suit and seek to establish paternity in order to obtain child support for a mother. This is also determined through DNA testing. Your child is important and establishing your paternity is essential to exercising your legal parental rights. That is why if you are not a presumed or acknowledged father, then it is critical that you seek legal assistance. At New Direction Family Law, we can help in all matters regarding paternity, custody, and child support. With years of experience behind us and a drive to advocate for good parents, we can help. Our office serves clients throughout Wake, Johnston, Durham and surrounding counties. 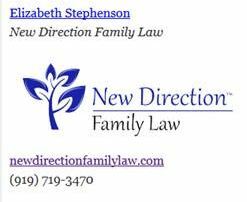 Call New Direction Family Law at (919) 719-3470 to schedule an appointment or visit us online at our website.